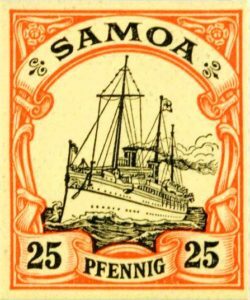 One of the real strengths of the collection here at the American Philatelic Research Library (APRL) is the breadth and scope of the resources that are available for not only the general collector but also the highly specialized philatelist. 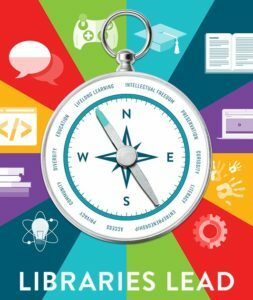 As we celebrate National Library Week and this year’s motto of “Libraries Lead” we are reminded of how the APRL leads specialized collectors and researchers to the resources they use in their collections and research. Many researchers who have consulted the APRL either remotely or in person are encouraged by the fact that although the collection is well populated with United Sates related material and research, the vast majority of the library’s holdings are devoted to worldwide philatelic resources, a good portion of which are in languages other than English. Because of this, for the specialized collector of non-U.S. material the APRL represents an exceptional opportunity to access the philately and philatelic knowledge of the world. The APRL staff also plays a crucial role in providing this access. Melanie Rogers is a nearly 20 year American Philatelic Society member (APS) who is very active on a number of philatelic committees and societies including the Chicago Philatelic Society. In her collecting she appreciates the contribution the APRL staff and the library’s comprehensive resources make in illuminating her diverse collecting interests. So too Michael Bloom, an APS Life Member, philatelic writer and former teacher, understands that for his specialized collecting interests it can be difficult to locate specific references or articles about a unique philatelic item. He too relies on the expertise of the APRL staff and the extensiveness of the library’s resources to assist him in better understanding his collecting discoveries. 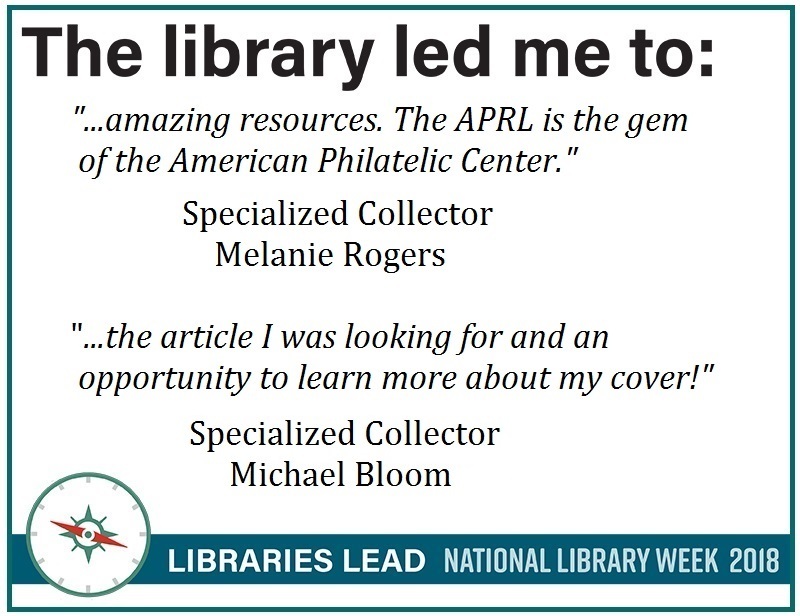 Leading specialized collectors to the resources and research they need for a better understanding and enjoyment of their unique collecting interests is the aim of the APRL and its staff.